TVB anniversary drama, Fist Fight (兄弟) has aired for 2 weeks and the truth behind the relationship between Vincent Wong (王浩信), Philip Ng (伍允龍) and Matt Yeung (楊明) is unveiling gradually. As the plot line is progressing slowly, it depended on heavy action and gun shoot scenes to attract the audiences and Philip is classified as the “spokesperson for flying kick” due to his swift moves. Philip is a Hong Kong-born American actor in reality but played a man who spoke basic English in the drama. Some netizens discovered he pronounced sorry as “sorlee” and asked the amount of time that he spent on his role character, due to curiosity. Nevertheless, it is a definite recognition to his acting skills. When mentioned about the short English dialogues in the series attracted the audiences’ attention during an interview with HK01 (香港01), Philip replied he felt surprised: “It is totally unexpected that the audiences are very attentive to all details.” All Philip fans should know that he played the male lead, Bruce Lee (李小龍) in Chinese and American film, Birth of the Dragon (龍之誕生) and it is obvious to see that he puts in full efforts after watching his movie. 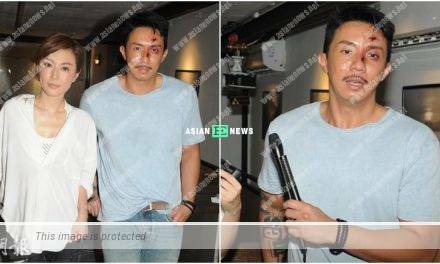 PreviousPatrick Tse almost fails to recognise his ex wife, Deborah Lee?